The starting point for Talakmau (previously known as Mount Ophir in Dutch times and now spelt simply ‘Talamau’ by most local people) is the friendly village of Pinagar which is less than 30 minutes drive from Simpang Empat. The climb is considerable when considering the low starting point (240m). 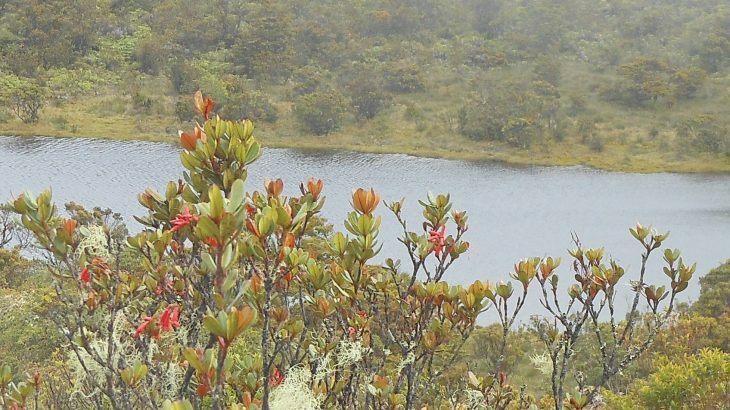 There are many lakes near the summit and and the Rajawali Putih camp area is on the edge of one of the larger lakes. The trail is pretty clean – thanks to local volunteers who keep it in good condition. 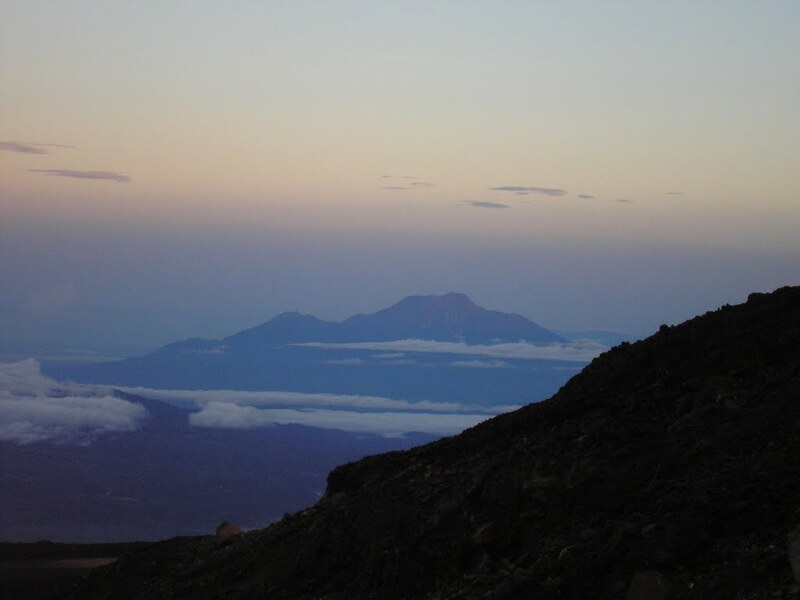 You will need 3 full days of hiking (2 nights camping) to reach the summit and get back down – ideally 4 days with 3 nights on the mountain for those with sufficient time. It is possible to arrange trailbikes from Pinagar up through the palm oil plantation and fields of corn as far as Pos Harimau (700m). Although this saves a couple of hours you will still probably need 3 full days for this mountain to do it justice and have enough time to explore the summit area so it isn’t of huge benefit. Thankfully there are plenty of water sources close to the trail so you only really need to worry about taking enough up with you for the first day (plus a bit extra in case of emergency). The 7/8 km trail up to Pos Harimau is very clear but muddy and slippery after rain – it’s the main, wide track which leads right up the hillside and it takes about three hours to reach the entrance to the forest on foot. There are plenty of basic wooden houses by the side of the track and one particularly friendly family (at around 600m) will probably offer you a drink. The views here are rather nice – lots of small, shapely little hills to the northwest. The last wooden house (750m) is just before the entrance to the forest (820m) which is the most complicated section in terms of staying on the right track. About one hundred metres into the forest you need to take a right turn which drops down to a small stream before leading up to a junction (where you turn left) and then winds through rather tedious high-growing undergrowth for about 30 minutes. About halfway along this section is a right turn and it is here that you first start to see ‘puncak’ signs but don’t be fooled – it is still a very long way! About two hours after entering the forest you should have reach the first major camping area – Pos Rindu Alam ‘missing nature’ (1,120m – ignore the elevation figures on red and white signs put up in 2013 by a local hiking club as they are inaccurate). There is a river down to the right of the trail and a pool large enough for bathing here. 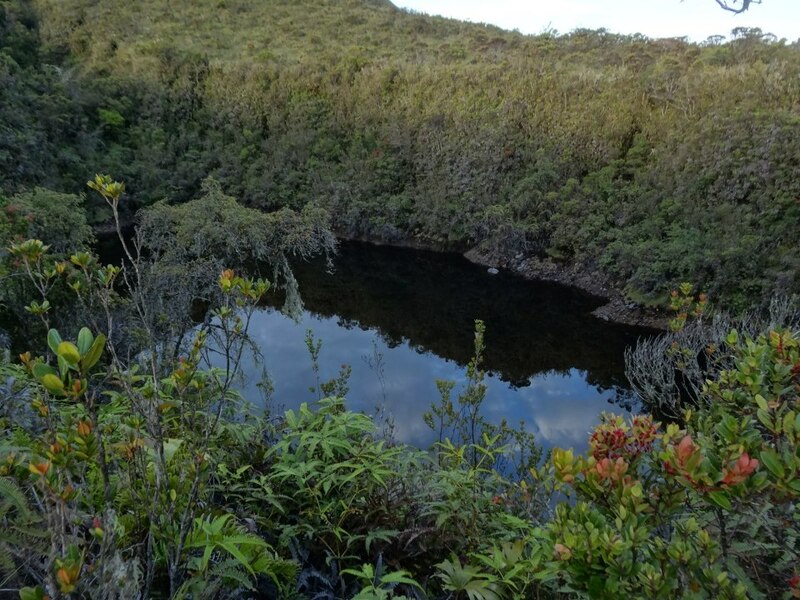 However the flat area for pitching tents is very muddy and – worse still – is right in the middle of an area of the mountain which is simply crawling with leeches. 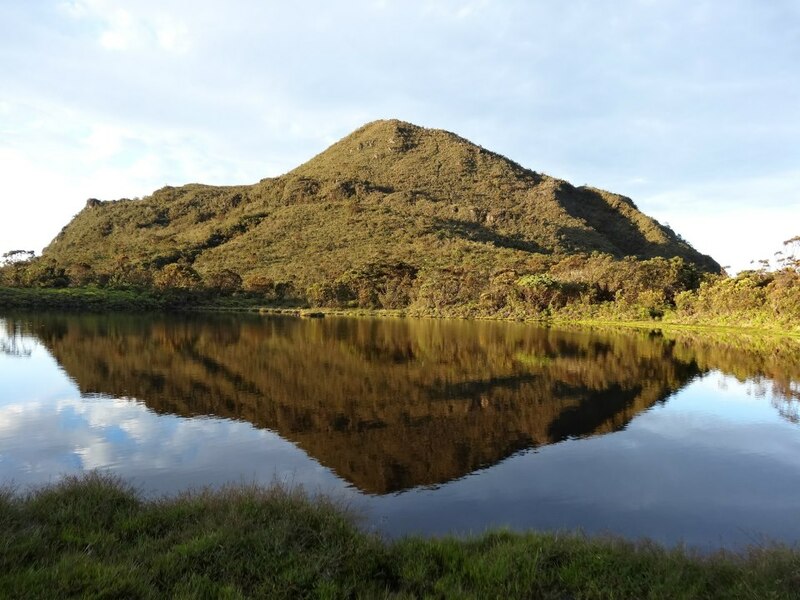 Therefore unless you have started the hike quite late is it not advisable to camp here as another 3 hours and you will be at Pos Bumi Sarasah (1,895m). Bumi Sarasah also has a river (down to the left) but it also has a few leeches too. It’s terribly muddy but is probably about as high up the mountain as you will get on Day 1 (assuming you are carrying camping equipment with you). Look for the face that somebody has carved into the tree between the signs here. The trail continues steeply after Bumi Sarasah and you will probably not encounter any leeches at all after 2,000m unless they have hitched a ride up the mountain with you! 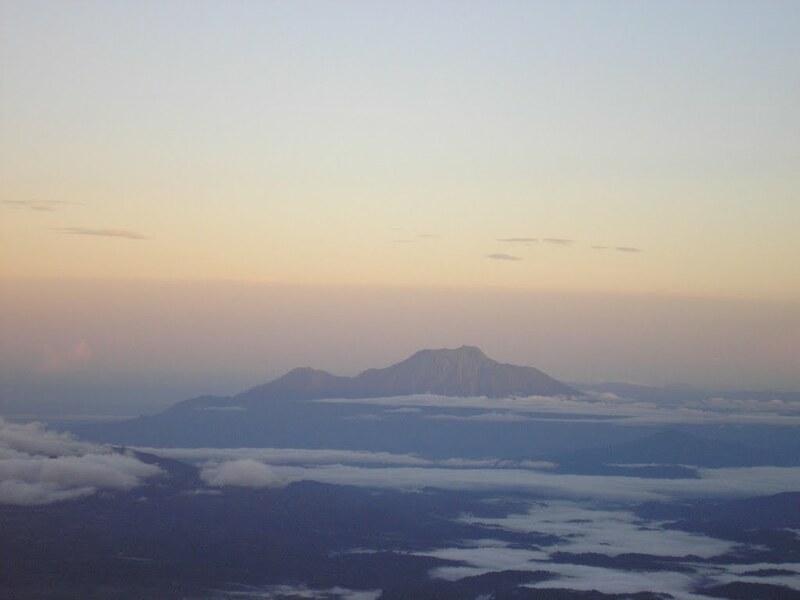 An hour after Bumi Sarasah and you will start to be able to look back at the view northwest to the coast and northern mountains (around 2,150m) . There is also a small camping spot suitable for two tents (2,175m). 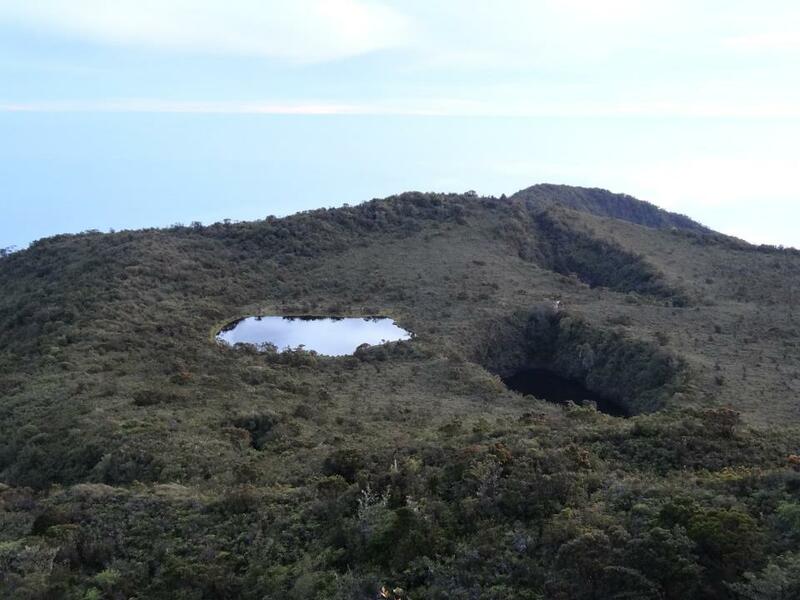 Another hour and you will be at Pos Paninjauhan (2,560m, ‘far view’). It is around this area that the trail gets a little difficult as there are lots of rocks which you need to climb over and narrow streams to wade through. This is more than made up for by the excellent views back down to the villages below. There are also quite a few rare pitcher plants in this area. 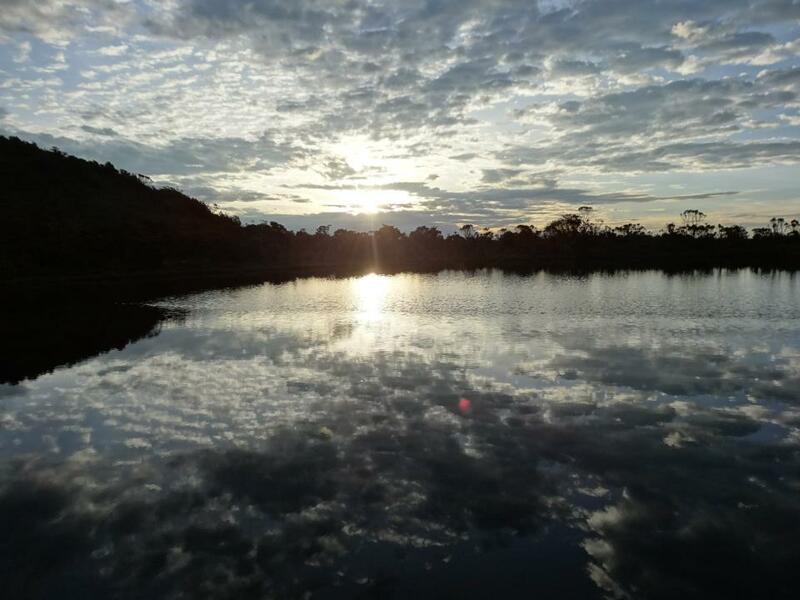 Another hour and you will be on the flat marshy plateau following the trail as it weaves between different lakes of various shapes, sizes and colour. There are apparently twelve lakes up here in total. After reaching the very pleasant Pos Rajawali Putih (2,775m ‘white eagle’?) it is just 30 minutes further on up to the true high point of the mountain itself. The trail is well marked with yellow paint on rocks but take extra care on the descent in poor weather as it would be easy to head down the wrong side of the mountain. The highest point is crowned with a carin and a metal rod and mosque roof thing. In clear weather the views are magnificent – the many lakes just below the summit and Gunung Marapi near Bukittinggi in the distance. There is another route down the mountain on the other side but it took the group of local hikers that opened it 7 days to do so. Therefore it’s probably best to return the same way. If you managed to coax your porters up to the Rajawali Putih campsite then you can expect a long hike back off the mountain the following day of perhaps 9 -11 hours. Those who have camped lower down will have a shorter return journey but will perhaps have the leeches to deal with once again. The ideal camp spots would be Bumi Sarasah and Rajawai Putih but if you get off to a slow start on the first day then perhaps Rindu Alam and Paninjauan would be a second choice (though the latter has space for just 2 large or 3 small tents). Getting there: It takes about 5 hours to reach the trailhead by car from Bukittinggi. The closest airport is Padang – about 7 hours away. Accommodation: There are several basic hotels in Simpang Empat though most hikers might prefer to stay in the much nicer Bukittinggi. Permits: You may be asked to pay a small fee in Pinagar. Porters can be arranged here – ask for Maywan. Water sources: Plenty – at all Pos mentioned above. But you still need plenty for the initial hike up to the forest entrance. Sumatera Barat, Updated Tinggi Sedang. permalink. Continuing on from Gunung Tujuh we arranged a car north to Bukittinggi from Pak Subandi’s homestay in Kersik Tua with Oki Travel who have a fleet of vehicles which you can hire privately or share with other passengers. True to Indonesian form the car was about 2 hours late. As it took 7.5 hours to Bukittinggi and cost Rp 600,000 this might have been one of the times during the week where we actually paid the same price as local people for a service rather than an inflated tourist/foreigner price. After a great evening of beer and food at Bedudal (‘beehive’) on Jl A Yani we awaited our transport to pick us up at 5am for the journey onward to Gn Talakmau. I remember gazing fondly at the mountain from Marapi crater back in 2010 and it had been near the top of my ‘to do’ list ever since then. The mosque right next to the Kartini Hotel in Bukittinggi is horrifically loud but this is actually a good thing if you need to wake at 4.30am for a 5am departure! It took us nearly 5 hours in total to reach Pinagar from Bukitinggi. The route was up to Bonjol, left turn and up through a mountainous valley area of landslides and poor road surface before opening out to offer great views of Talakmau before reaching Pasar Ladang Panjang. After a quick snack in Simpang Empat we arrived at the end of the road in Pinagar. All the village kids flocked to see what was going on – a very friendly community. Apparently sometimes the locals will check your backpack contents and make a note of how many plastic bottles you take up (for example) and then count again on your return to ensure you have not littered the mountain. One of our porters was Riski from Bukittinggi who was carrying the tallest backpack I have ever seen in my life. He actually pioneered a different route up Talakmau which took 7 days and is very rarely used to this day. Our other porter was Maywan who had a great sense of humour and was relatively well-travelled having working in Tangerang some years ago. Unfortunately the weather was not on our side and we had a lot of rain. We also had trouble finding the correct path at the forest entrance. The one point where you really need a ‘puncak’ sign but there are none there. It took a good hour of searching for the right path. 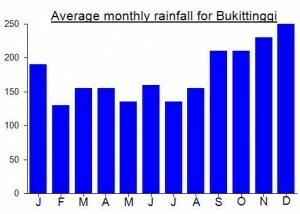 Because of this and the rain we only made it up to Pos Rindu Alam on the first day. Still a long way to go. Worst of all was the extraordinary number of leeches at this Pos. Why anyone would want to camp in the middle of that lot is beyond me. You just want to stay in your tent and not come out til daylight the next day. The following morning there was yet more rain – almost all morning. We decided that in order to get back down for our 1pm pickup on Day 3 we would not be able to camp up at the summit on the second night. The plan was to pitch the tents at Bumi Sarasah and continue up to the peak and back down to camp by dark. This was a bit of a disappointment but given the weather didn’t improve it really wouldn’t have made much difference if we had spent a night at the top, view-wise. Talakmau seems to attract a lot of rain, but we were extra unlucky as later in the week I saw the entire mountain bathed in golden sunlight from the streets of Bukittinggi! Anyway I recommend climbing this in the middle of the dry season if possible. There were a few good views on the higher slopes at dusk – mainly of the sunset near the coastline and the villages and smaller peaks below. On the third day we were up at first light as usual and back down in Pinagar just before 1pm to finally get our feet out of our wet shoes. John met a cillage chap who had climbed Talakmau in the 1970s with a German. It took 7 days as there was barely a trail at all then. Meanwhile I was being followed like the pied piper by all the kids. I tried to allow them to take a crisp each out of a full crisp packet. Unfortunately my ‘one by one’ command was ignored as they all lunged forward and the entire bag exploded and none of the kids got anything to eat. The contents were spread all over the floor and a village dog was soon along to eat all the dirty crumbs off the floor. Some of the cheekier village boys found a hairy red fruit on a tree, opened it to reveal some small red seeds which they rubbed on their hair turning it bright red! Our transport was about 2 and a half hours late due to the original car being involved in a minor collision. Do you have any info about Gunung Pasaman (near Talakmau)? Are they in one mountaineous region?